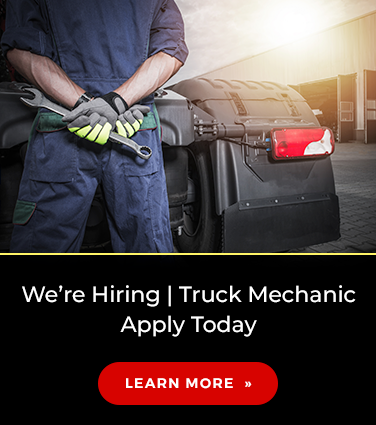 Truck Diagnostic Services in Hamilton | Marshall Truck & Trailer Repair Ltd.
Marshall Truck & Trailer Repair Ltd. offers top of the line diesel diagnostic software and hardware capabilities, along with other important inspection and testing services for your truck and trailer. Top of the line diesel diagnostic software and hardware capabilities, plus a complete line of commercial truck diagnostic software make Marshall Truck & Trailer Repair Ltd. your go-to technicians in the Hamilton area. Our computer diagnostic services cover virtually everything when it comes to your truck, for example, diesel engines, electronic transmissions, ABS systems, and much more. Marshall Truck & Trailer Repair offers the mandatory annual safety inspection for your truck and transfer Truck & Trailer Annual Safety Inspection. Marshall Truck & Trailer Repair is a certified Ontario DRIVE CLEAN TEST FACILITY offering Heavy Duty Emission Testing for your truck. When it comes to renewing registrations, Ontario DRIVE CLEAN requires heavy-duty trucks and buses to complete and pass emissions testing. We provide Vehicle Inspection Reports (VIR) following each emission testing, which is what you then provide ServiceOntario with. At Marshall Truck & Trailer Repair we offer the most up-to-date VIS-CHECK diagnostic technology to our customers. We have VIS-CHECK Diagnostics, which is a recognized performance-based roller brake tester (PBBT), Brakes, Steering, Suspension by the Department of Transportation (DOT), Federal Motor Carrier Safety Administration (FMCSA) and Commercial Vehicle Safety Alliance (CVSA®). Our VIS-CHECK Diagnostics checks brakes, steering, and suspension of heavy trucks. The undercarriage of a vehicle is where the weight of a vehicle meets the road. Safety, fuel economy and tire life are all compromised if undercarriage components are not in top working condition. Contact us for more details on our Diagnostics, Testing & Safety services or to book an appointment.